When my kids got head lice, I knew next to nothing about lice. I just knew I wanted them gone, immediately. Head lice live only on human heads. They don’t live on pets or other animals. They are the only bugs that will live on your head. These insects attach to a person’s scalp. They feed on human blood obtained through the scalp. Many (but not all) people with head lice will suffer from an itchy scalp, due to the lice biting them. Lice don't generally pose a real danger to human health. The most common complication is that kids scratching their heads sometimes open up wounds, which can then become infected. Adult lice are quite small (around the size of a sesame seed). They can crawl very quickly, and therefore can be difficult to find in someone’s hair. They can't fly or jump. When checking a head for lice, it can be easier to spot lice eggs laid on the hair (because they don’t move). They are most often found in the thickest part of the hair, at the nape of the neck and behind the ears … but they can be anywhere on the head. They are pale hard ovals, also extremely small (about 1/16 of an inch long). Female lice lay each egg in a protective coating. These protective shells are called nits. The lice attach the nits securely to a hair shaft, very close to the scalp. The egg needs the warmth from the human head to incubate. Lice are usually transmitted directly from the head of an infested person to the head of another person in close contact (for instance, when two people hug or when small children are playing together and their heads brush each other). Eggs in their protective nits are not transmitted from one head to another. The only way a person catches head lice is when one or more of the crawling insects gives up its host head for a new host. There is a huge problem nowadays with transmission of head lice in schools. Children tend to interact in closer proximity than adults do. After school starts in September, doctors see a jump in reports of head lice. School systems differ markedly in their approach to the problem. While many have head lice policies, only some of them perform routine head checks. More and more school systems are taking a more proactive approach and distributing head lice information. When I was a kid, I don’t remember knowing anyone who got head lice. The lice problem has been growing over the years since then, because head lice have developed resistance to the pesticides which are routinely used to treat head lice. Pesticides are dangerous as well as ineffective. The National Pediculosis Association (NPA) does not recommend using pesticides to combat head lice. The most surprising bit of head lice information I found was that the use of pesticides is not only unnecessary - it actually does more harm than good. The shampoo contains enzymes which are similar to the insect’s own molting enzymes. The idea is that they can dissolve the lice exoskeleton, killing or disabling the bugs, and also loosen the nit glue so that nits comb out more easily. In our experience, enzymes don't kill all the bugs, but they loosen that incredibly strong nit glue – sometimes dramatically. After treating with enzymes, you need to comb out lice and remaining nits with a good lice comb. It’s important to get all the nits out, because any that are left attached to the hair may hatch within 7-10 days, starting the cycle all over again. Combing is the one indispensable step if you want to put a lice infestation behind you quickly. 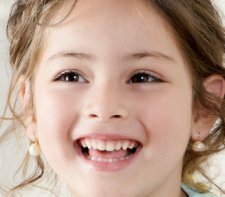 We’ve put together some detailed instructions on how to go about removing nits effectively. Check out the menu on the left for more head lice information.